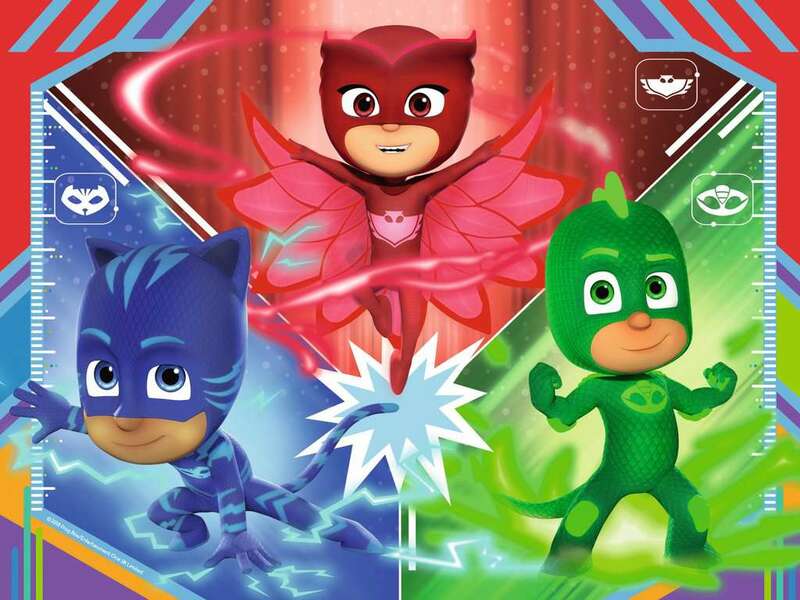 PJ Masks race to the rescue! This set of bright and colourful puzzles show Catboy, Owlette and Gekko riding their super-quick "Rovers" - no pesky villain will be able to escape now! The 4th puzzle in the set shows our brave trio strutting their moves, ensuring that everything is just right with the daytime world.